As Facebook continues to change its algorithm, finding the right Facebook advertising strategy to beat its fluctuating system can be challenging. 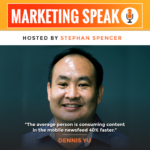 Dennis Yu, Chief Technology Officer of BlitzMetrics, talks about what works and what doesn’t in Facebook advertising. He shares some inside scoop even from when Facebook was still targeting college students back in 2007 up to now as it expanded and became one of the most used social media website to date. He imparts some wisdom coming from someone who has seen it all. Taking down each of their own processes, budding Facebook advertisers will find some interesting advice and tips on how to build their own Facebook ads as well as some of the checkpoints to go through, covering topics from lighthouse clients to choosing the right business objectives. Dennis says optimizing your Facebook ads for the right conversions will be smarter and better. If you think that email is the present and future of online marketing, think again. Facebook Messenger has over a billion active users, and their open rate is astonishing compared to other forms of communication. While this may not be a viable marketing method for those trying to handle every message themselves, using a bot can help you scale and automate your Messenger interactions. Today’s guest is Mikael Yang, the co-founder and CEO of ManyChat. This is the leading Messenger marketing platform, with over 250,000 businesses in over 200 countries using its services. 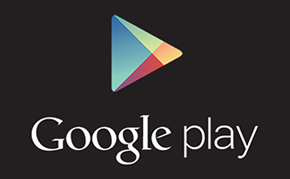 (I’m proud to add that I’m one of its happy users, as well.) 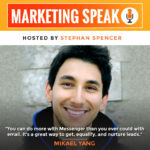 Mikael will take a deep dive into marketing through Facebook Messenger. 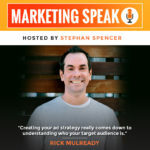 He’ll explain why it’s such a valuable marketing avenue and how best to take advantage of this opportunity to streamline communication with customers. We’re all familiar with the concept of marketing funnels. Today, you’ll learn how to reshape your understanding of the funnel Specifically, you’ll learn how to break down the funnel into three separate slices: the opening, the middle, and the bottom. 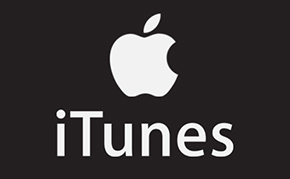 Using these three slices, you can indoctrinate people into your brand, get them to understand you, and inspire them to make a purchase. 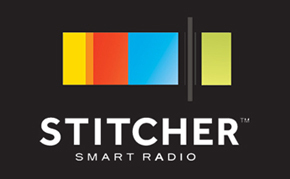 Today’s guest calls these three phases connect, commit, and close. 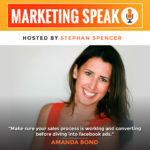 Amanda Bond, is an expert in Facebook ad strategy. She uses her contagious enthusiasm and wealth of insight to change Facebook advertising from something intimidating into something understandable and fun. She offers clear advice, tips, and strategies on how to make the most of your Facebook advertising. She digs into topics about connecting with potential customers, helping your audience engage with your brand, and finding the best tools to use. Here’s a situation that might sound familiar: you start an ad campaign on Facebook, spend $20 or $30, and see no results at all. Instead of pouring more money down the drain, you turn off the ad campaign and conclude that Facebook Ads don’t work. While that reaction may seem reasonable, the truth is that Facebook Ads can be a successful tool to grow your business. You just aren’t spending enough on them. 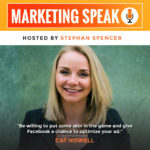 Spending too little on Facebook Ads is one of the biggest mistakes that Cat Howell, my guest today, sees while working for her Facebook advertising agency. She's an incredible Facebook marketer who shares valuable information we can apply to our current strategies. In our conversation today, Cat will use her experience from working with clients like Coca Cola, Amitil, and Contiki to give you Facebook advertising best practices, tips, tricks, and secrets.